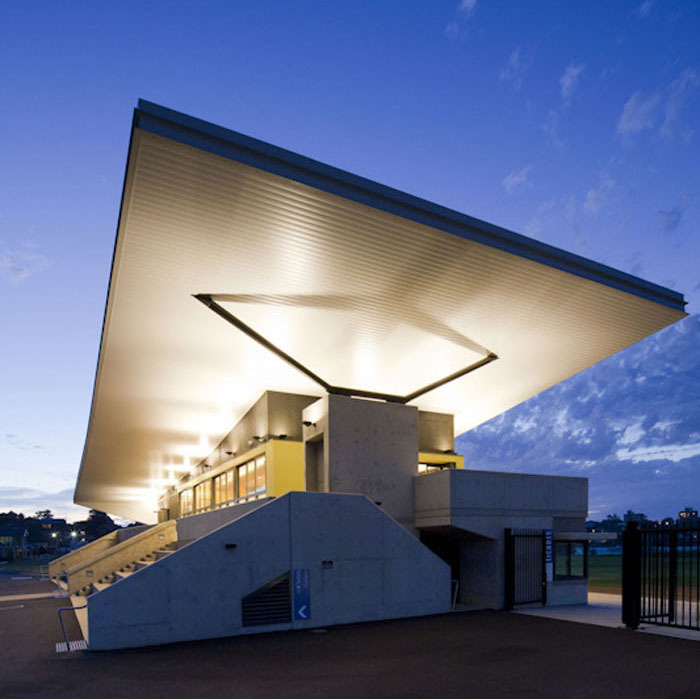 The City of Canada Bay Council commissioned Melocco and Moore Architects to design and document a new community facility at Drummoyne Oval. 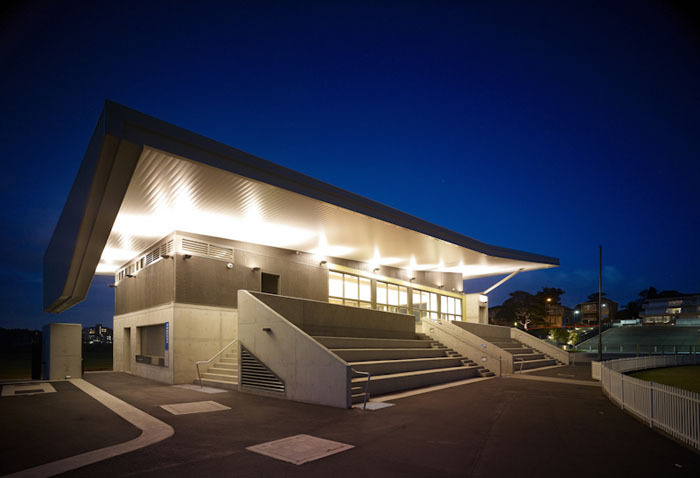 The building is strategically positioned within the park to service the needs of both Drummoyne Oval and the adjoining Taplin Park. 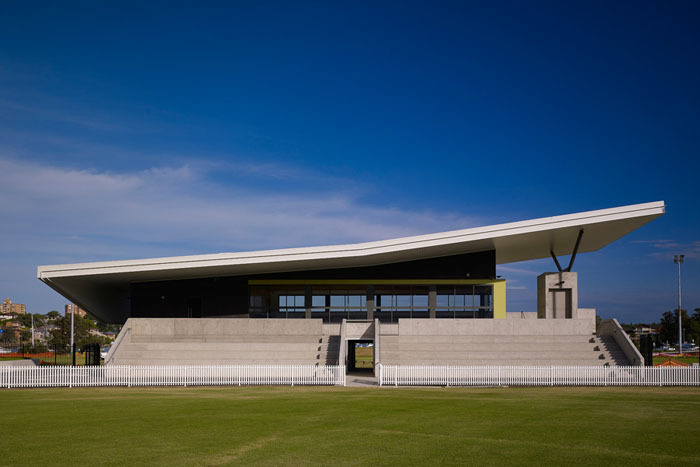 The considered siting of the building within the park assists with the ability for it to act as a formal entry to the grandstand seating and viewing platform and whilst directly serving the needs of both sporting ovals and patrons. 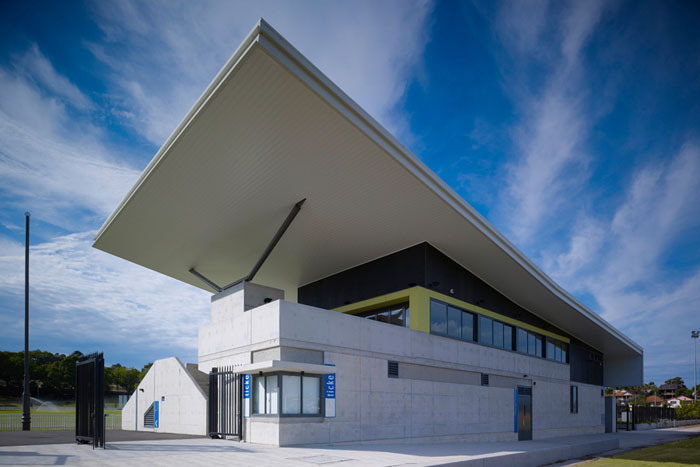 The building provides associated services such as function centre with a full kitchen, canteen for game days, office and change rooms as well as public toilet amenities. The function room is able to hold 140 patrons for sports or community events and is well used by the local community. The form of the building responds directly to the natural landscape that surrounds the oval. A dynamic roof profile folds up to the north towards the formal street entry point. Situated on the foreshore of Five Dock Bay it takes advantage of the opportunity for excellent cross ventilation and views from the first floor community room out across the bay. 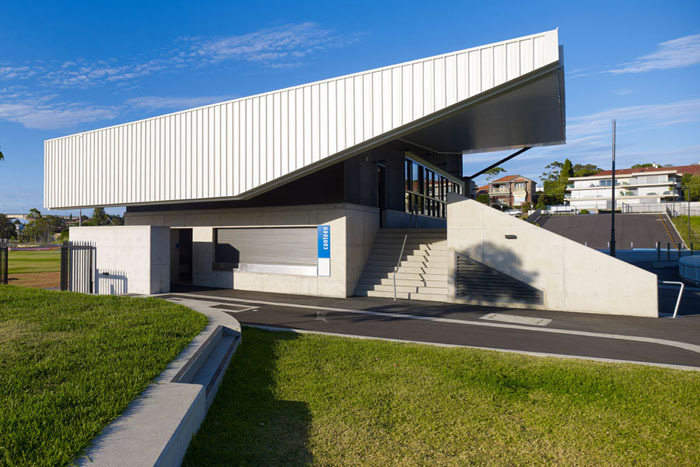 Check out the Merrylands Amenities Building for more sports facilities work by Melocco & Moore architects.